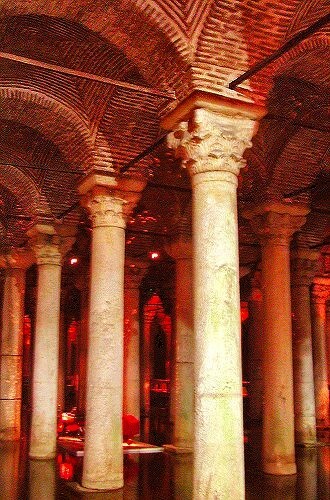 When you visit Istanbul, Julian's Cistern, or Basilica Cistern, is a Must. 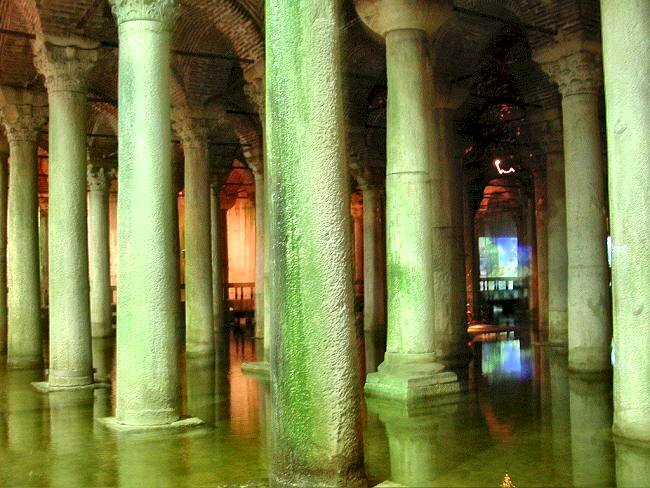 It was built by emperor Justinian around 542, is also called the "Sunken Palace", which aptly reflects the magical atmosphere of this subterranean building. 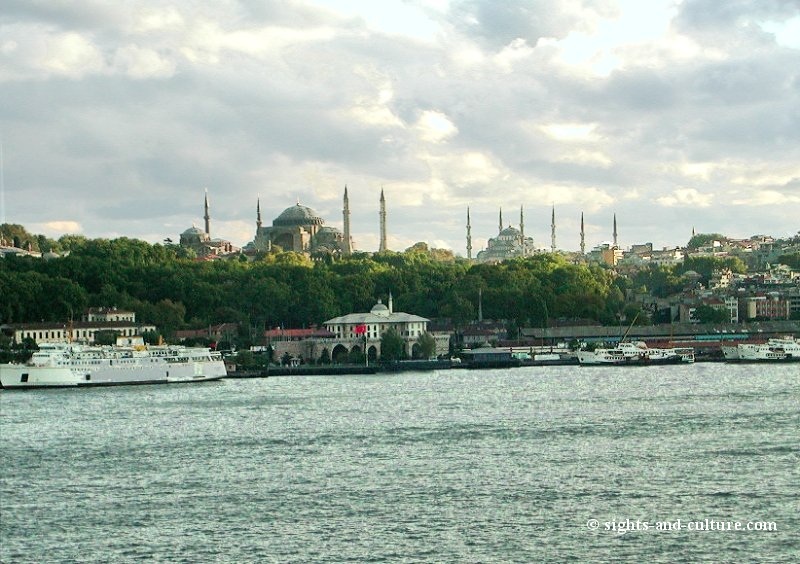 The reservoir had a capacity of 80.000 cubic feet of water and was built in order to supply the water requirement of the royal palace as well as of the quarter around the Hagia Sophia and later the Topkapi palace. 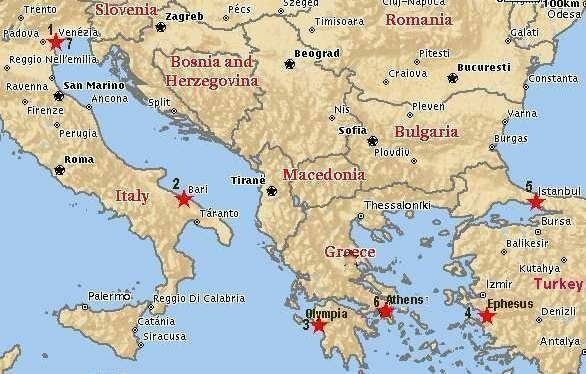 On an area of 453 x 213 ft. (138 x 65 m) or 2,2 acres (8970 m²) a dim wood of 336 marble columns, which support the up to 8 m high vault, is reflected in the water. 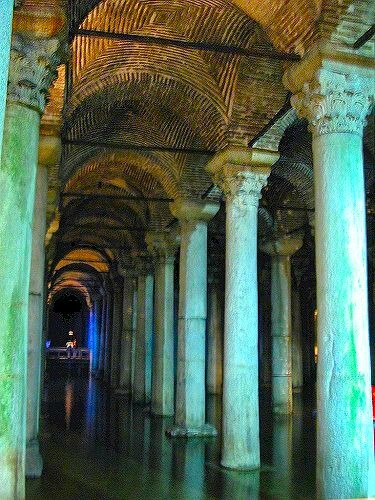 Walkways and atmospheric lighting make the Cistern a great tourist attraction, which takes you back into ancient times.